For other uses, see 42nd Street. This article is about the New York City Subway station. For the adjacent railroad terminal after which this station was named, see Grand Central Terminal. For the elevated rapid transit station that preceded the subway station complex, see Grand Central (IRT elevated station). Grand Central–42nd Street is a major station complex of the New York City Subway. Located in Midtown Manhattan at the intersection of Park Avenue and 42nd Street, with parts of the station extending east to Lexington Avenue, it is the second busiest station in the 424-station system, with 46,121,509 passengers in 2016; only the Times Square station complex has more riders. It serves trains on the IRT Lexington Avenue Line, the IRT Flushing Line and the 42nd Street Shuttle, making it an all-IRT transfer point. 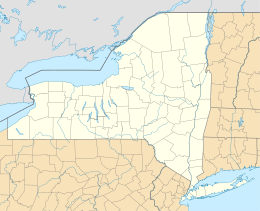 The stations of the complex lie next to and beneath Grand Central Terminal, which serves all Metro-North Railroad lines east of the Hudson River. There is a mezzanine above the Lexington Avenue Line's platforms, which have numerous exits to and from Grand Central itself as well as to the streets (see § Exits). Escalators connect this mezzanine to the Flushing Line, although there are also staircases and passageways directly between the Lexington Avenue and Flushing Lines' platforms. The Flushing Line platform also has its own exit at its extreme eastern end, though all other exits are through the Lexington Avenue Line platforms and mezzanine. Outside the Lexington Avenue Line mezzanine's fare control, there are stairs, escalators, and an elevator to Grand Central. An east-west passageway connects the Lexington Avenue Line's mezzanine to the 42nd Street Shuttle, which also has its own dedicated entrance and exit stairs. Except for the 42nd Street Shuttle (which is inaccessible at its other station at Times Square), the whole station is handicapped accessible, as is the connection to Grand Central Terminal. The station has undergone various renovations since the 1980s—when the first major renovation was carried out—but some of the passages and other components still require repair or renovation. At the same time, a project was ongoing to air cool the station in conjunction with Metro-North Railroad's project to cool Grand Central Terminal. However, as of 2006[update], only the Lexington Avenue Line station is air-cooled. The Lexington Avenue Line station is one of a very small number of artificially cooled stations in the New York City Subway. The Flushing Line platforms have been equipped with fans, but not an air-cooling system. In 2014, the Metropolitan Transportation Authority installed an online, interactive touchscreen computer program called "On The Go! Travel Station" (OTG) in Grand Central. The self-updating kiosks allow people to route their trips and check for delays. The MTA set up the map as part of a pilot project in five subway stations. It lists any planned work or service changes, as well as information to help travelers find nearby landmarks and addresses. An exit outside of the planned One Vanderbilt is proposed. In October 2016, construction began on the entrance in One Vanderbilt. In the 1900s and 1910s, it was proposed to extend the Uptown Hudson Tubes of the Hudson & Manhattan Railroad (now PATH), which had opened in 1908, from its current terminus of 33rd Street and Sixth Avenue to Grand Central. The H&M platforms would have been directly below the 42nd Street Line's platforms, but above the IRT's Flushing Line platforms. However, by 1909, the IRT had constructed an unauthorized ventilation shaft between the 42nd Street line and the Steinway Tunnel. This would force the H&M to build its station at a very low depth, thus making it harder for any passengers to access the H&M station. As an alternative, it was proposed to connect the Uptown Tubes to the Steinway Tunnel. A franchise to extend the Uptown Tubes to Grand Central was awarded in June 1909, with the expectation that construction could start within six months and that the new extension would be ready by January 1911. However, by 1914, the H&M had not started construction of the Grand Central extension yet, and it wished to delay the start of construction further. By 1920, the H&M had submitted seventeen applications in which they sought to delay construction of the extensions; in all seventeen instances, the H&M had claimed that it was not an appropriate time to construct the tube. This time, however, the Rapid Transit Commissioners declined this request for a delay, effectively ending the H&M's right to build an extension to Grand Central. As part of the construction of One Vanderbilt at the corner of Vanderbilt Avenue and 42nd Street, developer SL Green Realty is making several upgrades to the station. The improvements entail multiple new entrances and exits, including two staircases to the southeast corner of Lexington Avenue and 42nd Street, as well as an underground entrance directly from One Vanderbilt to the 42nd Street Shuttle platforms. Three new staircases from the mezzanine to the southbound Lexington Avenue Line platform, and one new staircase to the northbound platform, will be added. The project also involves reconfiguration of columns supporting the nearby Grand Hyatt New York hotel at the southeast corner of the station, destruction of 40% of the Hyatt's basement to expand the subway mezzanine, and the thinning of columns on platforms and mezzanines to increase space. A new elevator is being added within the existing Hyatt entrance, and the existing staircase was replaced. This would directly result in additional capacity for the station, since 4,000 to 6,000 more subway passengers per hour would be able to use it. These improvements would cost over $200 million. The MTA mandated the station improvements in exchange for allowing the tower's construction. In 2015, SL Green gave $220 million toward the building's construction, of which two-thirds of the money would be used for station redesign; this marked the largest private investment to date to the New York City Subway system. The upgrades are estimated to be completed by 2021. A new mezzanine built below the existing mezzanine will provide a direct connection from the subway station to the lower level of Grand Central Terminal and the future Long Island Rail Road concourse built as part of the East Side Access project; this will replace the current escalators from the existing mezzanine directly to the Flushing Line platforms, and is estimated to cost $75-150 million. As part of the construction of the Second Avenue Subway, a transfer might be included between here and the 42nd Street station on that line. This would provide a transfer to the T train, which is proposed to serve Phase 3 of the Second Avenue Subway (which is currently not funded or scheduled). Currently, the transfer is under evaluation. The 900-foot long transfer passageway would run under 42nd Street between Second Avenue and Third Avenue, connecting to the IRT Flushing Line platform. Up to four properties might need to be required for the necessary ancillaries and emergency exits to built. The passageway would run under the northern side of 42nd Street, and the exit at the eastern end would be on the northwestern corner of that street and Second Avenue. Under a plan for the line in the 1990s, a spur to Grand Central Terminal was considered, which would have turned off Second Avenue at 44th Street as a way to divert riders from the 4 and ​5 routes, which run express on the Lexington Avenue Line. Service on this spur could not be as frequent as that on Lexington Avenue as there would not be enough capacity on Second Avenue, and as a result this plan was dropped. The Grand Central shuttle platforms date from the original IRT subway, which opened in 1904. The station was a four-track express stop with two island platforms between the local and express tracks. The opening of the Grand Central shuttle platforms actually predate the terminal itself, as the construction of Grand Central Terminal started in 1903; the terminal opened in 1913. The present configuration of the shuttle has three tracks coming into the station; the old southbound express track was removed. There is no connection between the northbound local track (track 4) and the other two. Island platforms are located between both pairs of tracks; the southernmost platform is wide, covering the area where the southbound express track (track 2) had been located. The two platforms connect directly, as tracks 3 and 4 terminate at bumper blocks. The south track (track 1) merges with the southbound local track of the Lexington Avenue Line. This merge is used to supply rolling stock to tracks 1 & 3 of the shuttle train (via a manual switch just west of station to track 3), and occasionally during special railfan excursions. The other three original tracks followed similar paths until the Lexington Avenue Line was extended north, turning this part of the line into a shuttle. In 1913, as part of the Dual Contracts, the New York City Public Service Commission planned to split the original IRT system into three segments: two north-south lines, carrying through trains over the Lexington Avenue and Broadway–Seventh Avenue Lines, and a west-east shuttle under 42nd Street. This would form a roughly "H"-shaped system. A new platform for the shuttle would be built close to the current Lexington Avenue Line station. Since there was 400 feet between the eastern end of the original line's station and the new Lexington Avenue Line station, a new shuttle station was to be built near the Lexington Avenue Line station. The construction of the narrow island platform station required building two new trackways extending east under 42nd Street. Although the platform was constructed, it was never used. On August 1, 1918, the Dual Contracts' "H system" was put into service. The station was not ready in time, and therefore wooden flooring was temporarily laid over sections of the trackways at Times Square and Grand Central. The shuttle was heavily used, and the crowding conditions were so bad that the shuttle was ordered closed the next day. The shuttle reopened September 27, 1918. Track 2 at the Grand Central station was covered over by a wooden platform. A New York Times columnist later said that former southbound express track 2 was still usable for the first few hours of the shuttle's operation, but the wooden platform was placed over that track later the same day to allow shuttles to use former northbound express track 3, due to high demand for the shuttles on the former local tracks, numbered 1 and 4. On February 12, 1946 work began to double the width of the passageway connecting the shuttle platforms and the main mezzanine over the Lexington Avenue Line platforms. As part of the work the wooden passenger walkway, which had an average width of 15 feet (4.6 m) was replaced by a 37 feet (11 m) wide passageway with concrete flooring. This walkway had been "temporary" when it was put into place in August 1918. The new 350 feet (110 m)-long passageway covered most of the trackways used by downtown trains of the Original Subway prior to 1918. The iron railings along the planked walkway were removed. The project cost $45,800 and was intended to ease congestion. As part of the project, the upper passageway was moved to within fare control to allow passengers to go between the subway mezzanine and the entrance to Grand Central Terminal at the shuttle without paying a fare. This was accomplished by moving the turnstiles at the eastern end of the passageway. In March, members of the Metallic Lathers Union Local 46 sought to halt construction on the project, which was 80 percent complete, as the union objected to having the work done by city employees who made less than union workers. The rebuilt passageway opened on March 18, 1946. Track 2 between this station and Times Square–42nd Street was removed in 1975. This section of the complex is frequently used for movie shooting when it is closed. Notable scenes include a famous scene in the 1971 film The French Connection, an episode of Fringe, an episode of Person of Interest, and an episode of 30 Rock (filling in for Rockefeller Center Station). The Grand Central shuttle platforms are actually wheelchair accessible as the mezzanine elevators are on the same level, but due to the platforms at Times Square being inaccessible, the 42nd Street Shuttle itself is not accessible. As part of the 2015–2019 MTA Capital Program, the 42nd Street Shuttle will become ADA accessible, and the shuttle will be reconfigured from three tracks to two tracks, and the trains will become six cars long. The whole project will cost $235.41 million. The cost of this part of the project is $30 million. The project is delayed, with construction set to start in December 2019 and be completed by September 2022. Grand Central–42nd Street is an express station on the IRT Lexington Avenue Line. It was also known as the Diagonal Station at time of construction, being oriented 45° from the street grid. It has two island platforms, four tracks, and includes a crossover and a crossunder. The columns and beams here are massive, in order to support part of Grand Central Terminal and the office towers next to it. On one wall, there is a stylized steam locomotive mosaic. The northbound platform's side wall includes tile depicting a big passageway; the first room, as seen from the platform, has doors to a second room which appears to be a mechanical room. There is a correctly oriented compass rose inlaid on the floor of the mezzanine. The southbound local track south of the station merges into the original downtown local track from the 42nd Street Shuttle. The track was part of the original four-track IRT subway. This track is now used for moving trains to and from the shuttle and for launching railfan trips from the shuttle tracks. This was the only track that is preserved. Just south of the station, the tracks split, with two on each side of the 1870 New York and Harlem Railroad Murray Hill Tunnel which is now used for automobile traffic on Park Avenue. The Grand Central complex is home to the master tower which controls the entire Lexington Avenue Line, located south of the Lexington Avenue Line platforms. The uptown tracks are about ten feet below the original grade at the point where they turn off. The old uptown express and local trackways that used to lead to the 42nd Street Shuttle are visible from the uptown local track. As the alignment of the original trackways curves into the old Grand Central station on the 42nd Street Shuttle, it passes through the rebuilt area for the proposed Grand Central station shuttle platform. From the public passageway, none of the original support columns and roof are visible, since they were removed in exactly this area to open the way for the unused shuttle station. The unused ramps leading from the 42nd Street Shuttle are still in place, just south of this station. In 1955, the New York City Transit Authority had a scheme to make a lower level to the station, also of four tracks. It would tap into the express tracks beyond the station and be used as an intermediate terminal stop for certain services. There is room between the station and the Flushing Line for such a new level. Grand Central–42nd Street (signed as 42nd Street–Grand Central) on the Flushing Line has a single island platform and two tracks. On March 2, 1950, a new type of stainless steel portable newsstand was installed at the Flushing Line platform at Grand Central. The newsstand was owned by the Union News Company. The platforms at Grand Central and all other stations on the Flushing Line with the exception of Queensboro Plaza were extended in 1955–1956 to accommodate 11-car trains. There is a large arched ceiling, similar to other deep-level stations in the system and in other parts of the world. Along the platform are stairs and escalators to other lines and to a mezzanine and passageways under the Grand Central Terminal concourse. Exits and entrances are located at the center, west and east ends of the platform. There is an ADA-accessible elevator toward the west end. A newsstand/snack shop is located on the platform towards the east end. In 1913, the Public Service Commission planned to connect the Flushing line to the 42nd Street shuttle, just west of the Grand Central station. Some ramp work was built for this purpose, then converted to a passenger walkway that has been in use since 1916. In addition, there are two remaining sections of the old trolley loop that remain intact and are accessible to MTA personnel via the southbound track approximately 200 feet beyond the station. The third is between the tracks and is a pump room. Parts of the loop are being converted into CBTC circuit breaker rooms. For a while, free transfers were provided between the subway station and 42nd Street on the elevated IRT Third Avenue Line. This started on June 14, 1942, the day after the IRT Second Avenue Line, which provided access to Queensboro Plaza and the IRT Flushing Line, was closed. The Third Avenue Line closed on May 12, 1955, rendering the transfer obsolete. Najibullah Zazi and alleged co-conspirators were arrested in September 2009 as part of an al-Qaeda Islamist plan to engage in suicide bombings on trains in the New York City subway system, including near the Grand Central Station, and the Times Square-42nd Street-Port Authority Bus Terminal subway station during rush hour that month, and Zazi has pleaded guilty. ^ a b c d e f g h i j k "MTA Neighborhood Maps: Midtown East/Grand Central" (PDF). mta.info. Metropolitan Transportation Authority. 2015. Retrieved July 17, 2015. ^ "MTA Guide to Accessible Transit". MTA.info. Retrieved June 1, 2011. ^ Roberts, Sam (September 30, 2013). "No Heel Hazards (or Gusts) as Subway Expands". New York Times. New York. Retrieved May 5, 2014. ^ Bereznak, Alyssa. "Check Out New York City's First Touchscreen Subway Map". Yahoo! Tech. Retrieved February 21, 2014. ^ "MTA's First "On The Go" Touchscreen Unveiled In Bowling Green". NY1. September 19, 2011. Archived from the original on September 12, 2012. Retrieved October 5, 2011. ^ "MTA Introduces New On the Go! Touch-Screen Travel Station". MTA.info. September 19, 2011. Retrieved October 5, 2011. ^ Brian Sozzi. "Sozzi: The Boring Old Subway is Now Digital, and That's Pretty Awesome". TheStreet. ^ "One Vanderbilt Renderings: Before and After". Second Ave. Sagas. ^ Chaban, Matt A. (October 16, 2016). "Future Neighbor Will Tower Over Grand Central, but Allow It to Shine". The New York Times. ISSN 0362-4331. Retrieved October 19, 2016. 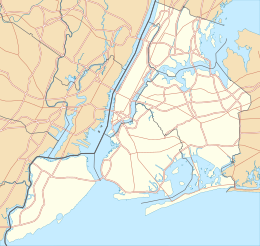 ^ "TWO NEW SUBWAYS NOW BEING PLANNED; Interborough and McAdoo Interests Likely to Build East and West Side Systems. COMPLETE UNIFIED SYSTEM Traction Interests Disclaim Anything More Than a Tentative Interest at This Time". The New York Times. February 14, 1909. Retrieved April 24, 2018. ^ "INTER-TUNNEL SHAFT IN M'ADOO'S WAY; Connects Subway and Steinway Tunnel Through Third Level Under 42d Street. WHO AUTHORIZED IT THERE? Public Service Board Likely to Ask Questions -- If It Stays, McAdoo People Must Go Lower". The New York Times. March 26, 1909. Retrieved April 24, 2018. ^ "MAY CONNECT M'ADOO AND STEINWAY TUBES; Utilities Board Suggests Such a Junction to the Board of Estimate. McADOO FRANCHISE SAFE Commission Says the 42d Street Extension Won't Interfere with Other Subways". The New York Times. May 6, 1909. ISSN 0362-4331. Retrieved April 24, 2018. ^ "M'ADOO EXTENSION TO BE READY IN 1911; Head of Hudson & Manhattan Road Promises It After the Board of Estimate Approves. BUSINESS MEN GRATIFIED Mr. McAdoo Also Happy -- He Will Begin at Once to Complete the Jersey-Grand Central Route". The New York Times. June 5, 1909. ISSN 0362-4331. Retrieved April 24, 2018. ^ "M'ADOO'S RAILROAD SLOW IN BUILDING; Two Months More Time Given for Extension to Grand Central". The New York Times. April 9, 1914. ISSN 0362-4331. Retrieved April 25, 2018. ^ "HUDSON TUBE ASKS DELAY. ; Seventeenth Application for More Time to Extend Subway". The New York Times. February 16, 1920. Retrieved April 27, 2018. ^ a b Hawkins, Andrew J. "$210M upgrade for Grand Central's subway unveiled". Crain's New York Business. Retrieved August 1, 2017. ^ "A glimpse at the $200M transit plans for One Vanderbilt :: Second Ave. Sagas". Second Ave. Sagas. Retrieved September 13, 2014. ^ Fitzsimmons, Emma G. (May 27, 2015). "Plan to Build Tower at Grand Central in Exchange for Transit Upgrades Is Approved". The New York Times. Retrieved February 9, 2018. ^ "Potential East Midtown Transit Improvements" (PDF). www.cb5.org. Metropolitan Transportation Authority. October 2012. pp. 24, 31, 32, 33, 34. Archived from the original (PDF) on January 6, 2017. Retrieved February 8, 2018. ^ "Second Avenue Subway Final Environmental Impact Statement (FEIS): Figure 2-1: New York City Subway Service with Second Avenue Subway Line" (PDF). mta.info. Metropolitan Transportation Authority. May 2004. Retrieved December 15, 2016. ^ "Second Avenue Subway Final Environmental Impact Statement (FEIS): Chapter 2: Project Alternatives" (PDF). mta.info. Metropolitan Transportation Authority. May 2004. Retrieved August 5, 2015. ^ "Second Avenue Subway Final Environmental Impact Statement (FEIS): Chapter 3: Description of Construction Methods and Activities" (PDF). mta.info. Metropolitan Transportation Authority. May 2004. Retrieved February 9, 2018. ^ "Second Avenue Subway Final Environmental Impact Statement (FEIS): Figure F-10 Second Avenue Subway Potential 42nd Street Transfer Study Area for Potential Acquisitions" (PDF). mta.info. Metropolitan Transportation Authority. May 2004. Retrieved January 6, 2017. ^ "Second Avenue Subway Final Environmental Impact Statement (FEIS): Figure 8-11 Second Avenue Subway Transfer to 42nd Street Grand Central Station" (PDF). mta.info. Metropolitan Transportation Authority. May 2004. Retrieved January 6, 2017. ^ Feinman, Mark. "The Automated Times Square–Grand Central Shuttle". nycsubway.org. Retrieved January 1, 2012. ^ "With the Surrounding Buildings It Covers an Area of Thirty City Blocks -- Can Accommodate 100,000,000 People a Year". The New York Times. February 2, 1913. ISSN 0362-4331. Retrieved December 20, 2018. ^ Dougherty, Peter (2018). 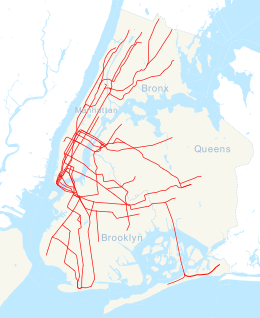 Tracks of the New York City Subway 2018 (16th ed.). Dougherty. OCLC 1056711733. ^ "MONEY SET ASIDE FOR NEW SUBWAYS; Board of Estimate Approves City Contracts to be Signed To-day with Interboro and B.R.T." (PDF). The New York Times. March 19, 1913. ISSN 0362-4331. Retrieved November 10, 2017. ^ a b c Brennan, Joseph (2002). "Abandoned Stations: proposed Grand Central shuttle platform". Columbia University. Retrieved March 3, 2017. ^ "Open New Subway Lines to Traffic; Called a Triumph" (PDF). The New York Times. August 2, 1918. p. 1. Retrieved October 4, 2011. ^ "Drop Shuttle Plan as Subway Crush Becomes a Peril" (PDF). The New York Times. August 3, 1918. p. 1. Retrieved October 4, 2011. ^ "Shuttle Service In Operation". pudl.princeton.edu. Interborough Rapid Transit Company. September 27, 1918. Retrieved September 19, 2016. ^ Buckley, Thomas (April 22, 1964). "Pavement in 42d Street at Grand Central Is Weakened by Early‐Morning Fire in the IRT Shuttle Station". The New York Times. ISSN 0362-4331. Retrieved January 15, 2016 – via New York Times Archive. ^ Berger, Meyer (January 17, 1955). "About New York; Hudson Sandhogs in Compressed Air Today -- The Shuttle's Missing Track 2". The New York Times. ISSN 0362-4331. Retrieved April 8, 2018. ^ "WIDER WALK TO AID RIDERS OF SHUTTLE; Corridor From Grand Central End of Line to Lexington Trains Being Doubled CLEAN-UP DRIVE IS BEGUN Transportation Board Opens Campaign to Curb Litter, Improve Car Lighting Part of New Traffic Plan Wooden Barrier to Go". The New York Times. February 12, 1946. ISSN 0362-4331. Retrieved April 4, 2018. ^ "Union Fails to Halt Subway Shuttle Job". The New York Times. March 12, 1946. ISSN 0362-4331. Retrieved April 4, 2018. ^ "SUBWAY CEREMONY COSTS O'DWYER 5C; Mayor Pays at the Turnstile in Dedicating New Tunnel to Times Square Shuttle MORE IMPROVEMENTS DUE Pleased With Grand Central Project, He Says Progress Will Take Money". The New York Times. March 19, 1946. ISSN 0362-4331. Retrieved April 4, 2018. ^ a b "Metropolitan Transportation Authority (MTA) Notice of Public Hearing and Description of Projects – Tuesday, August 23, 2016 4:30 P.M. – Request for Federal Financial Assistance Under the Federal Transportation Authorization For Federal Fiscal Year 2017 Capital Improvement Projects" (PDF). mta.info. Metropolitan Transportation Authority. July 28, 2016. Archived from the original (PDF) on August 17, 2016. Retrieved August 7, 2016. ^ "MTA Capital Program 2015-2019" (PDF). mta.info. Metropolitan Transportation Authority. October 28, 2015. Retrieved December 17, 2016. ^ "Transit and Bus Committee December 2016" (PDF). mta.info. Metropolitan Transportation Authority. February 21, 2017. Archived from the original (PDF) on February 22, 2017. Retrieved February 21, 2017. ^ "CONTRACT FOR SUBWAY LINK: Award Made for Diagonal Station at Grand Central". The New York Times. October 10, 1914. Retrieved July 15, 2016. ^ Levey, Stanley (March 11, 1955). "TRANSIT PROJECTS STIR AGENCY FEUD; Plans for Four Subway Projects Stir Quarrel in Transit Board". The New York Times. ISSN 0362-4331. Retrieved March 10, 2018. ^ "Queensboro Subway Gets A Portable Newsstand" (PDF). New York Times. March 2, 1950. Retrieved February 21, 2016. ^ Authority, New York City Transit (January 1, 1955). Minutes and Proceedings. ^ "mta.info - 7 Line Work & Planned Service Changes". mta.info. ^ Karen Zraik, David Johnston (September 15, 2009). "Man in Queens Raids Denies Any Terrorist Link". New York Times. Archived from the original on September 21, 2009. ^ David Johnston, Al Baker (September 18, 2009). "Denver Man Admits to a Possible Al Qaeda Connection, Officials Say". The New York Times. Archived from the original on September 21, 2009. ^ David Johnston, William K. Rashbaum (September 20, 2009). "Terror Suspect Had Bomb Guide, Authorities Say". The New York Times. Archived from the original on September 21, 2009. 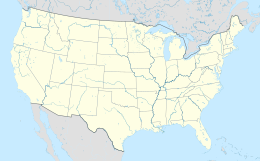 This page was last edited on 10 April 2019, at 05:50 (UTC).